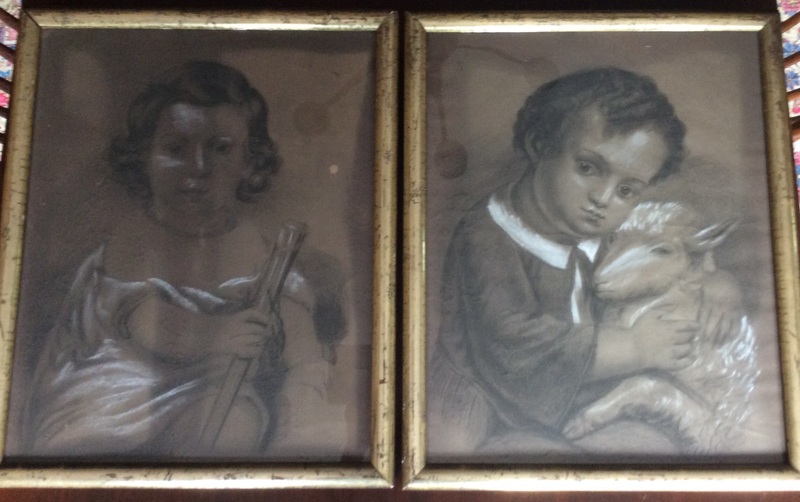 Delightful pair of charcoal portraits on paper, highlighted with chalk. 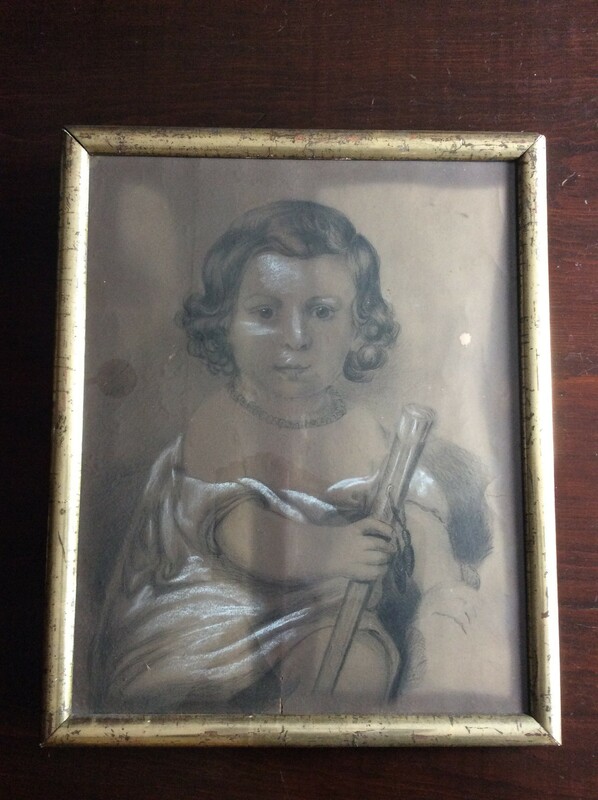 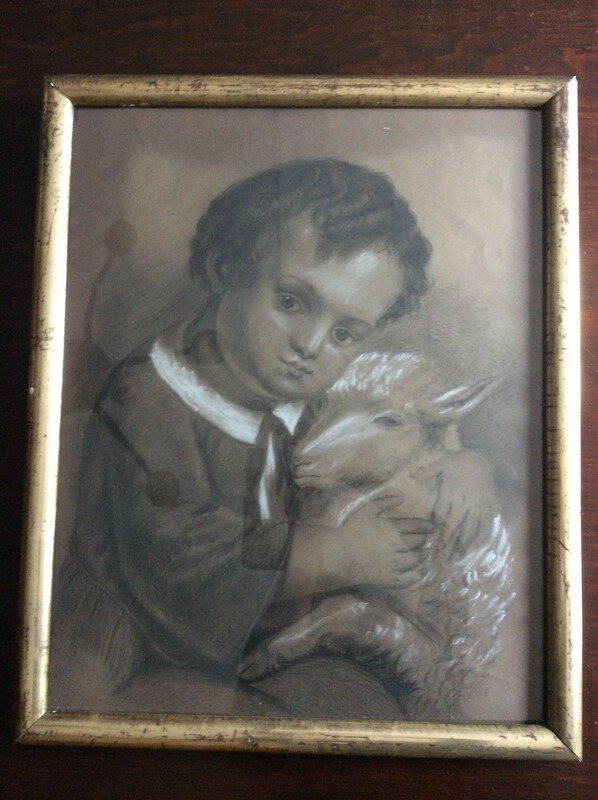 Young girl and young boy with sheep, original period frame, with original wooden backing. 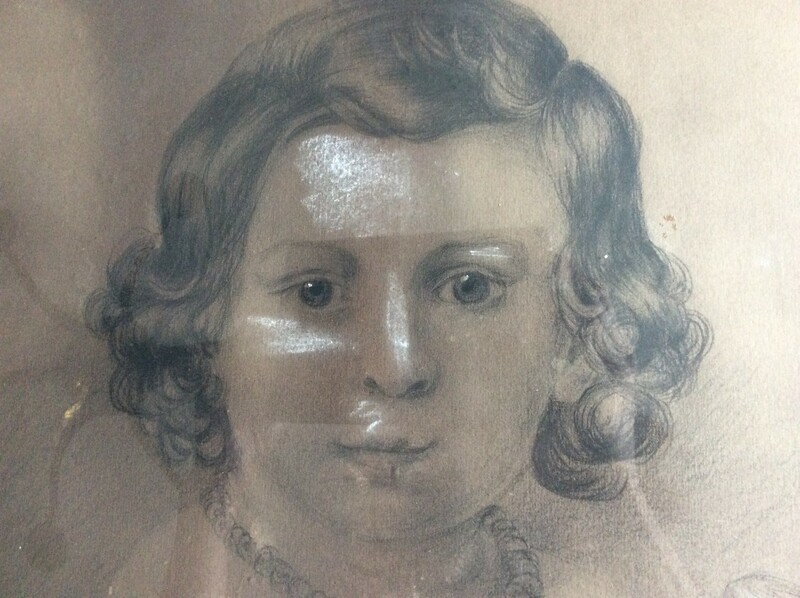 Indistinct pencil writing on back. 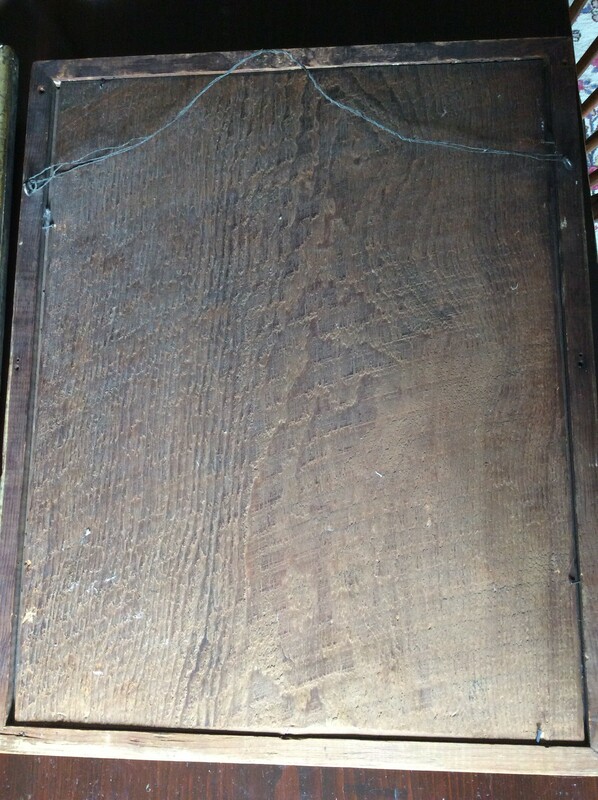 Height 22", width 17.5". 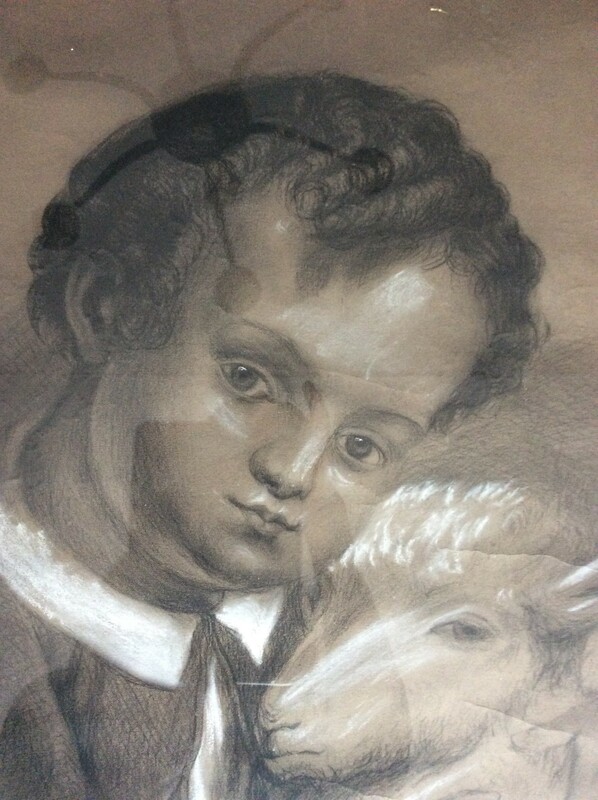 Provenance: Ex Marjorie Larmon Collection.